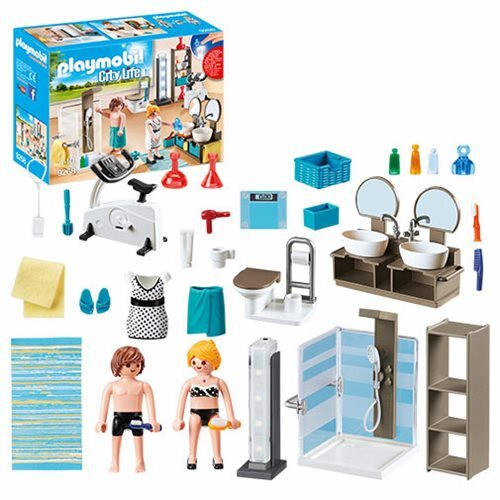 Experience the luxury of the Playmobil 9268 Bathroom! Equipped with shower, toilet and double wash basin, as well as an exercise bike. The working light post provides pleasant lighting (requires 1 x 1.5 V micro battery, not included.) Includes 2 figures with accessories.